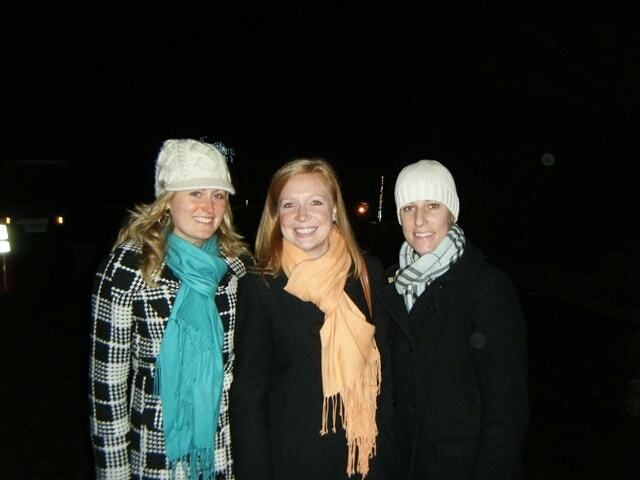 So last night I went to Zoo lights with my friends Ashley and Sarah! Basically, they put cool Christmas lights in the shapes of animals up all over the zoo, and leave some of the indoor exhibits open :) I hadn’t been to the zoo in forever and it felt cool and sneaky to be there at night, heh. Plus, the lights were pretty! 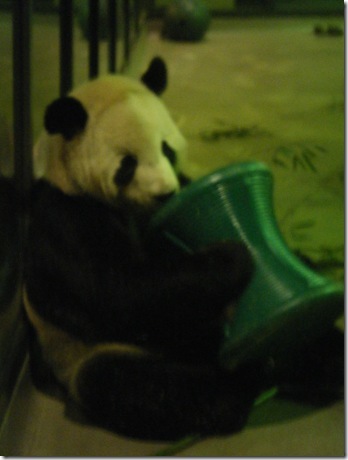 The main excitement was finally getting to see the PANDAS!! SO CUTE! Lol. Boys will be boys ;) Sadly he is being sent home to China soon, so I’m really glad I got to see him! We also saw some adorable apes, including one with a little baby riding around on its back! 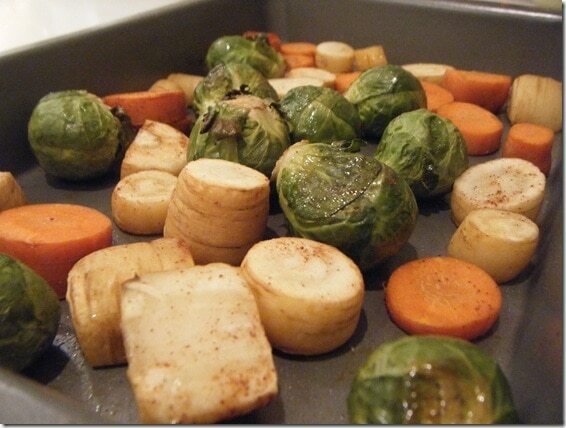 BATTLE OF THE ROASTED VEGGIES!!! 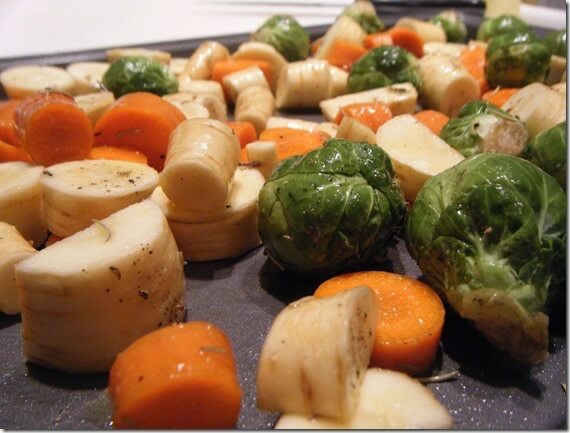 On the menu: parsnips, brussels sprouts, and carrots! Preheat oven to 400. Chop desired amount of veggies and divide them into two separate bowls. 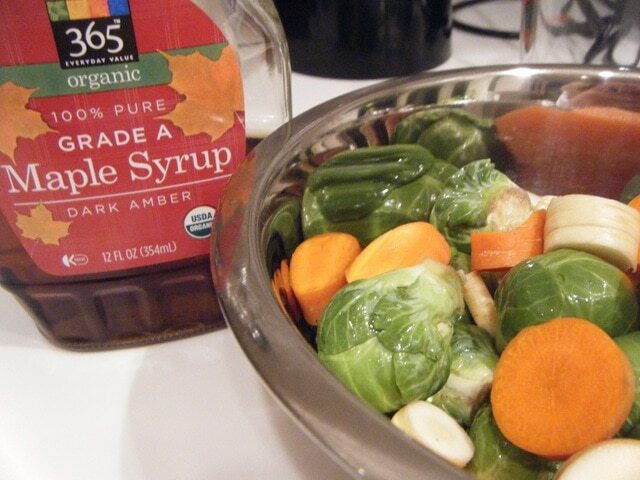 To the first bowl, add a drizzle of maple syrup (enough to coat but not drown them), and a few hefty shakes of cinnamon. 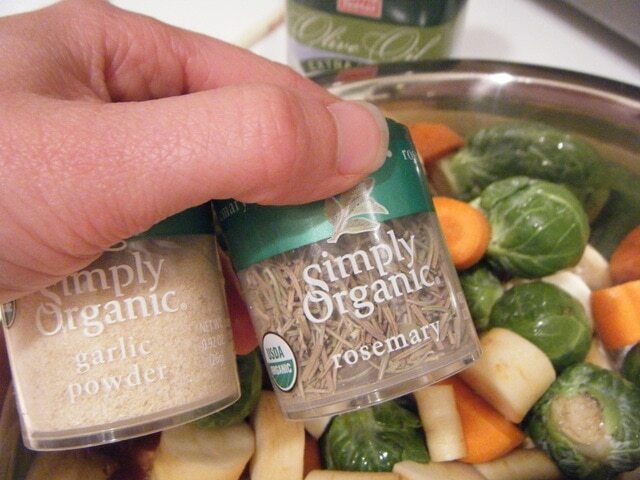 Shake/stir the veggies around until evenly coated. To the second bowl, add a drizzle of olive oil (again, enough to coat but not drown), a few shakes of garlic powder and (lots of) rosemary, and some cracked pepper. 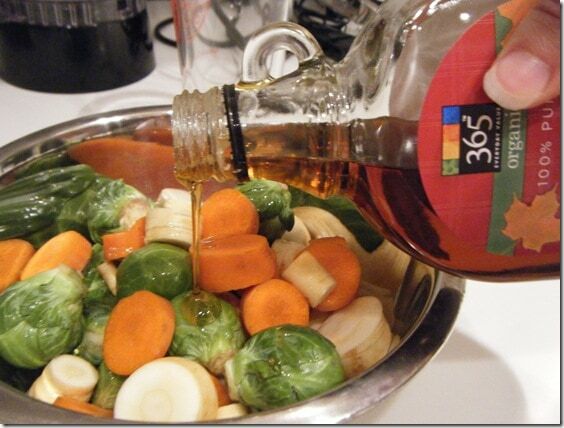 Again, shake/stir the veggies around until evenly coated. … and pop them into the oven for about 25 minutes. I think my favorite was the savory because they were a bit more flavorful, but both were tasty! 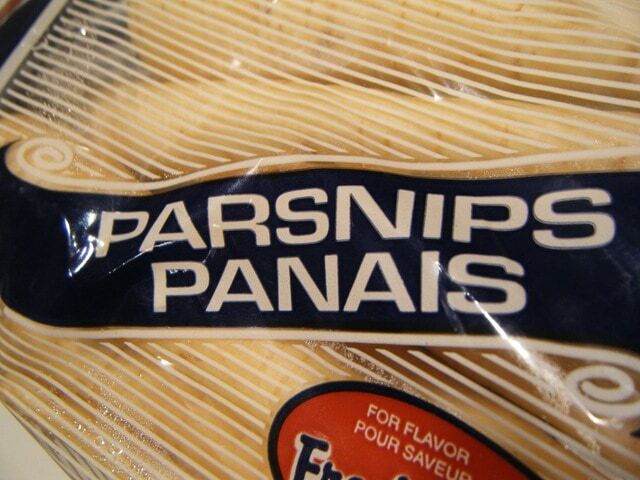 The maple and cinnamon gave the parsnips in particular a really nice subtly sweet flavor… I bet it would be good on sweet potatoes, too. 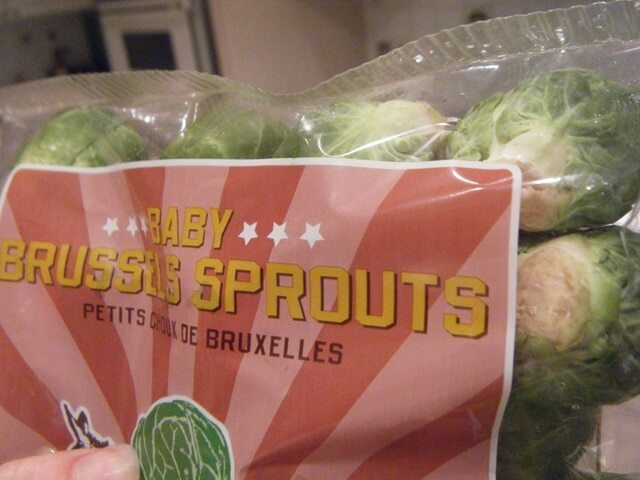 For the brussels sprouts, I preferred the more intense garlic and herb flavoring. 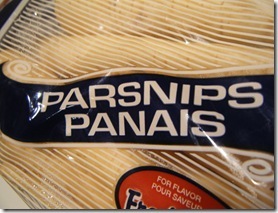 The carrots I could go either way! :) I think normally I’ll stick with savory overall, but it was fun to mix it up. What veggie did you think you hated but recently tried again and liked? 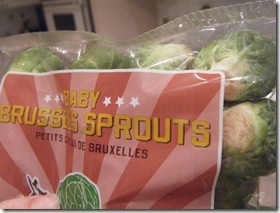 Like you, I realized that I did, in fact, like Brussels Sprouts in the past year or so. What year did you graduate from Dickinson? One of my best friends went there. She graduated in 2000. I used to think sweet potatoes were as bad as regular potatoes–boy was I wrong! Yay zoolights! It was so much fun. Cold…yes…but still fun. 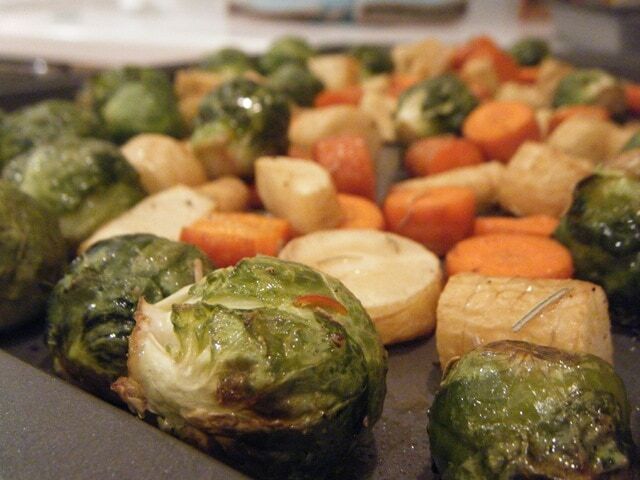 I still think brussels sprouts are gross :) But I do like artichokes now and I used to not :D YAY! Umm bear in poop-classic post, love it! I absolutely love brussel sprouts, but the first time I suggested making them for dinner to my now husband, he looked at me like I had suggested chopped dog for dinner. 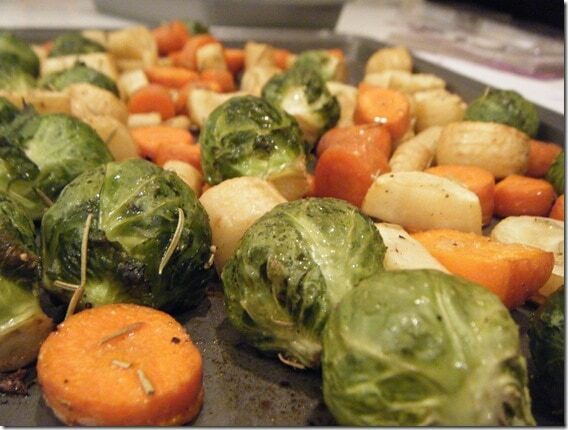 I think a lot of people have bad memories of brussel sprouts for whatever reason, and then are surprised by how delicious they can be– now, he requests them every week! They’re his favorite! 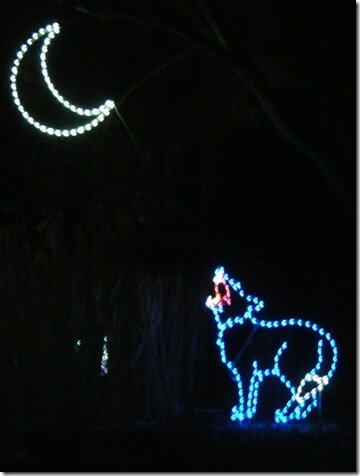 Love the zoo lights– cute! 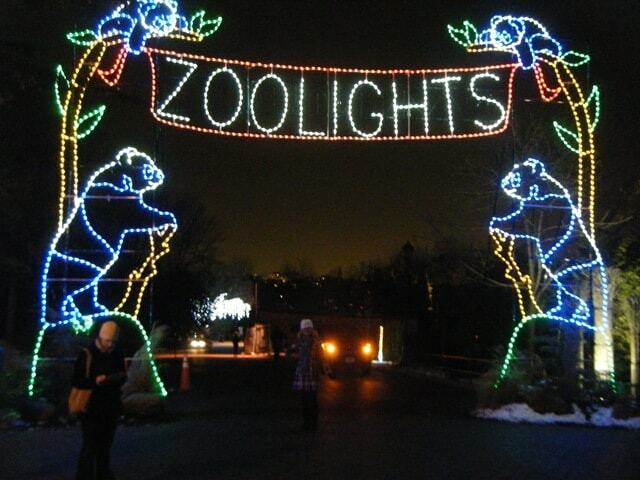 Super jealous you went to zoolights – that would be so cool to see! Those pandas are so lazy though!! I wish they would do more than sleep :O). Recently tried Brussel Sprouts on a whim after years of NEVER AGAIN!!! As a child I hated when my mom made these…i would swallow whole just to get it over with….now….i could buy them in bales…. 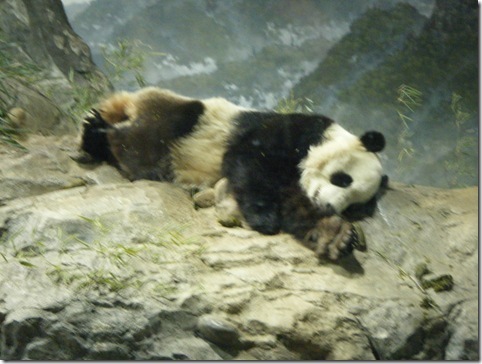 BTW…love the blog! read it everyday! I used to think I hate cooked carrots. I realized that I just hate BOILED carrots, but roasted – MMMMMMM! I made brussel sprouts for the 1st time on Sunday, I roasted them after coating with olive oil, garlic powder, s&p, and some dijon mustard. Once they were done, I dipped them in a little more dijon. GREAT flavors! I used to feel the same way about brussel sprouts. 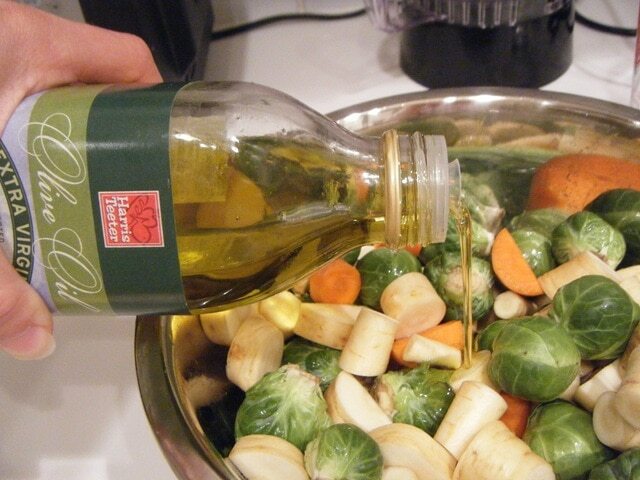 Now, with lots of garlic and EVOO, I actually really like ’em! That looks great I’ll have to try it! 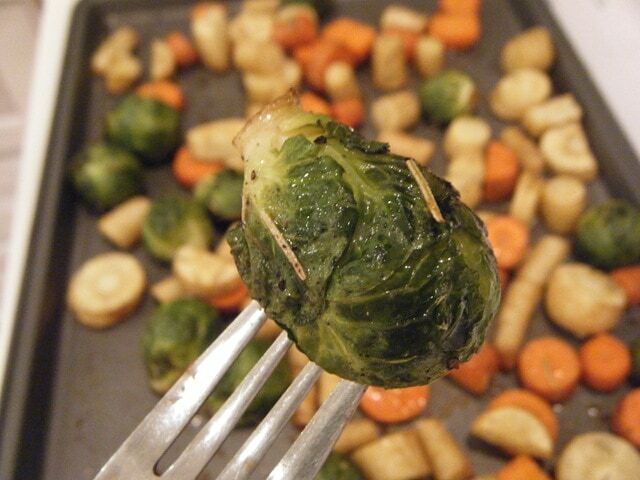 I looove brussel sprouts. My roommate just bought a toaster oven so now I can do a lot more cooking here. We used to only have the stovetop. I made a mix mosh of different kinds of roasted mushrooms with it yesterday. China has like 8,783 kinds of mushrooms haha. So I’m coming down to DC in April so I must see you! Let’s plan something fun…miss you!